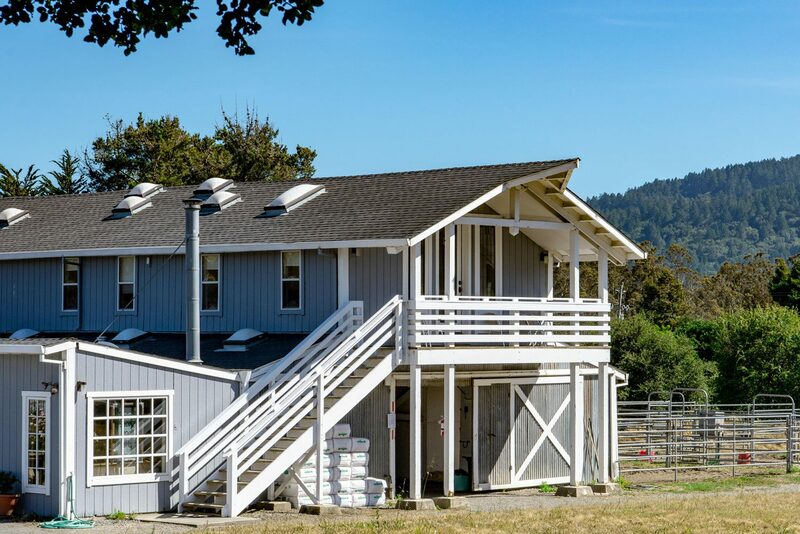 Situated directly over the Stables in Point Reyes Station, the Groom’s Quarters is the perfect Point Reyes lodging option for groups of friends traveling with horses. 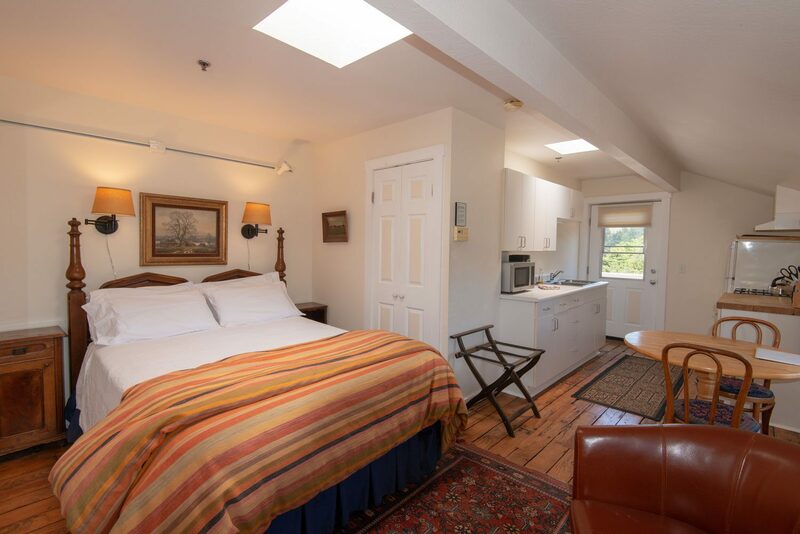 All of the rooms have plenty of natural light from banks of windows and skylights. The shared living area features stained glass windows, a large dining table, seating area and comfortable furnishings. A unique West Marin vacation rental for groups of friends or family who want to visit Point Reyes with horses. Two large suites, plus a bonus sleeping room provide everything you need for an unforgettable Bay Area riding retreat. 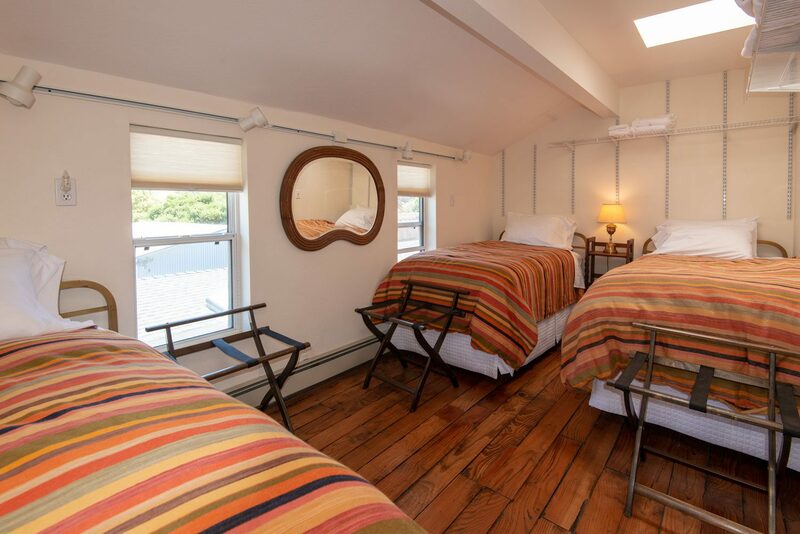 Each of the Studios comfortably sleeps two, and includes a bathroom with shower, fully equipped kitchen and a back deck with outdoor seating. You can easily add three more people to your party by renting Room Three. 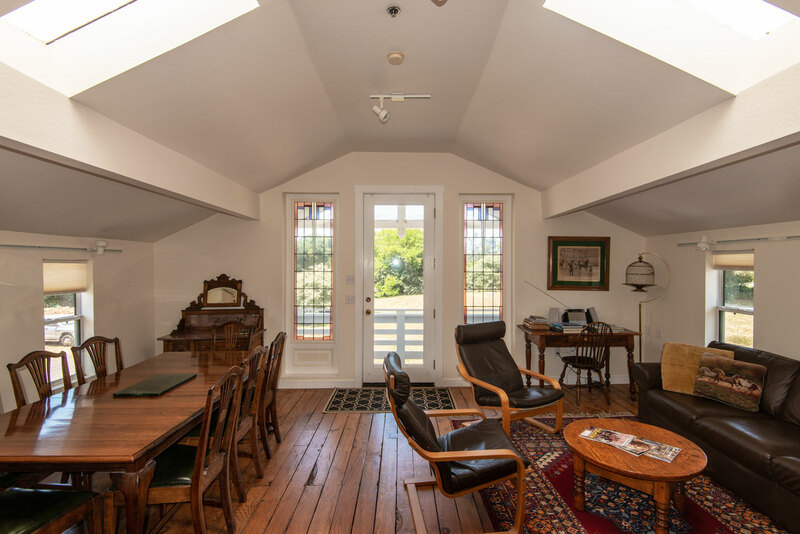 The Groom’s Quarters and Stables are located on the same grounds as the Bed and Breakfast Inn in Point Reyes Station. 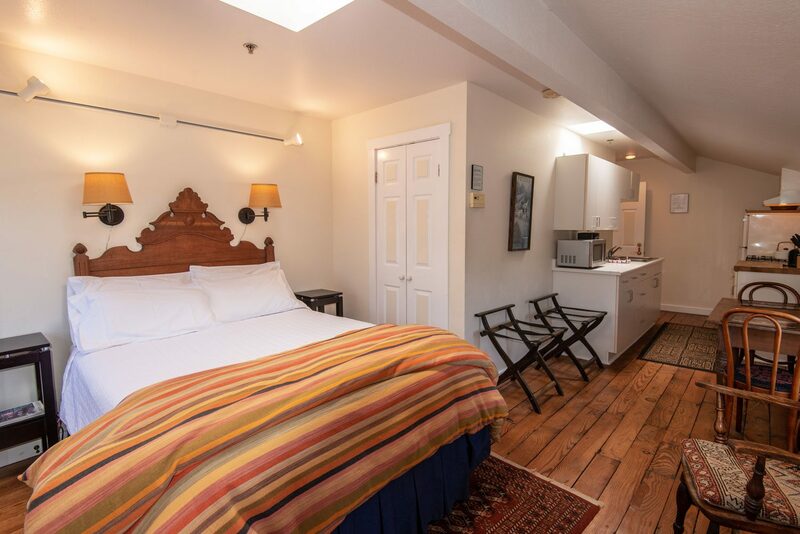 This bright, dorm-style room has three comfortable twin beds and can be rented in conjunction with one or both of the Studios. It’s the perfect way to expand your sleeping space for larger parties. Convenient horse stabling is available to our guests. Booking the Groom’s Quarters and horse stalls together through our online reservation calendar is easy. If you need more information about booking a stable in conjunction with your lodging reservation, go here.